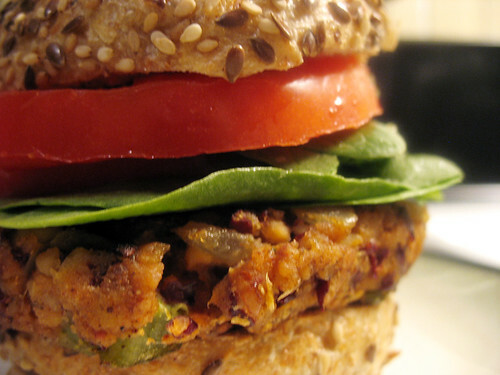 Yum Veggie Burger: Update - Fiesta Tempeh-Bean Burger RECIPE! I'm sick with a sinus infection, so I've been eating more soup than burgers this week... but I have a great update to share: Lindsay, from Cook.Vegan.Lover., has posted her Fiesta Tempeh-Bean Burger recipe which I blogged about last month when her ebook was released. You can now find the recipe here. If you try it out, please leave Lindsay a comment thanking her for creating it and posting the recipe!